Metro Vancouver’s Fort Langley Cranberry Festival is a FREE event on the Thanksgiving Weekend that takes place on Saturday, October 12th, in 2019. The family-friendly Fort Langley Cranberry Festival celebrates its 24th year in 2019 and, as always, it promises to be a great event. The festival takes place rain or shine each year from around 10 am until 4 pm on the Saturday of the Thanksgiving Long Weekend and, in years with good weather, it attracts tens of thousands of people. Festivities occur at the historic fort as well as in the town itself. Note: Admission to the fort is always free for youth ages 17 and under. On October 6th, because of the festival, admission is usually free for adults as well! TIP: If you’re heading out to Langley anyway, consider combining your trip to the Fort Langley Cranberry Festival with a visit to the Lower Mainland’s newest autumn attraction – Harvest Glow. 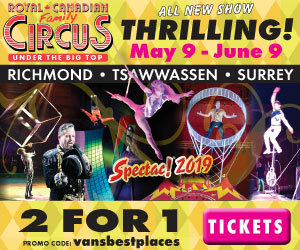 It’s an awesome indoor and family-friendly event that’s just a few minutes-drive from Fort Langley. Click Harvest Glow for details. The Cranberry Festival takes place in Fort Langley which is a beautiful historic town located in the Fraser Valley about a 45-minute drive from downtown Vancouver. 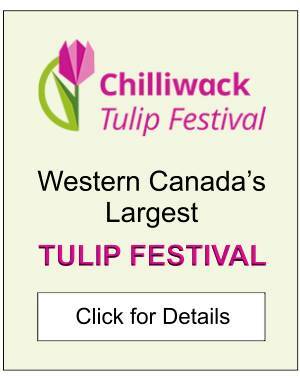 Much of the event takes place in the heart of the town at the Fort Langley Community Hall (at 9167 Glover Road) and along the main street in front of the building for a couple of blocks in either direction. Cranberry Festival activities also take place at Fort Langley’s historic fort which is located just a few blocks away at 23433 Mavis Avenue. The Fort Langley Cranberry Festival features a pancake breakfast in the morning, a market with around seven dozen vendors, and a wide range of family-friendly activities. There are cooking demonstrations, live music performances, food trucks, and all kinds of cranberry-themed things to do and look at. Fort Langley’s regular weekly farmers market also takes place at the same time as the festival, and in its regular location at 9025 Glover Road just a block or so from the rest of the village’s main festival activities. The market is always a popular one, and especially so during the Cranberry Festival. The Fort Langley Cranberry Festival has been running since 1996 and has grown into an event of significant size. The main focus of the festival is the market which features over 70 vendors selling everything from fresh cranberries to cranberry baked goods, wines, art and general farmers market and artisan products. It’s a large yet fairly typical artisan and farmers market, but with a cranberry theme and tons of people. Below is some general information about the event that’s good to know. Dogs are welcome at the festival in most areas, except not indoors at the Community Hall or in the fort. Glover Road gets packed with thousands of people, however, so not all canine participants will enjoy the experience. Be prepared for crowds yourself. It can get insanely busy in the market as well as with traffic on the surrounding roads. If you want to stock up on cranberries, be sure to buy them earlier in the day before they sell out. Just remember though that, unless you somehow manage to park your car close by, you’ll have to walk around with your purchases for the rest of your visit. Live music and other activities take place in and around the Community Hall. Last year admission to the fort was free thanks to the Canada 150 celebrations. In 2018, again, admission is free for the October 6th event. Trinity Western University is located close to the Trans-Canada Highway at 7600 Glover Road, so on the same street as the festival but to the south and about a 12 minute drive away (in good traffic). Walnut Grove Secondary, meanwhile, is located at 8919 Walnut Grove Drive, so about a 10-minute drive west of Fort Langley via 88th Avenue. Parking at the school is usually free, but at the university it’s about $3.75 for 2 hours, $4.50 for 4 hours, $5 for 5 hours and $7.50 for 12 hours. Below are some suggestions and bits of information to help you make the most out of your visit to the Fort Langley Cranberry Festival. TIP #1: The cost per hour for parking at the university gets less and less the longer you pay for. Consequently, pay for more than you expect to stay because 1) the extra bit of time is cheap, 2) you might want to stay longer than you plan, and 3) there can sometimes be a line up and traffic delays for the shuttle coming back. TIP #2: Before putting your money in the parking machine at Trinity University (if you park there), make sure you really do have to pay. There is a chance you won’t, in which case there should be signs around stating that fact. If there are no signs, however, then odds are that regular rates do still apply. TIP #3: Don’t wait until the very end to get in the lineup for the shuttle for your return trip back to your car. Lots of people use the service! TIP #4: If planning to drive directly to the festival, arrive early if you want and can, like at 9 am if not before. The festival doesn’t get started until 10 am, and the fort doesn’t open until 10 either. Traffic won’t be so bad before 9 o’clock though, and there may actually still be parking spots available. While you’re waiting for things to start, go for a stroll along the river or enjoy a cup of coffee in one of the town’s cafes. TIP #5: Unless you arrive really early, don’t expect to find parking anywhere remotely near the centre of town. As the day progresses cars start to park along the roads as far as a couple of kilometres away. TIP #6: If you have bicycles and a bike rack, take them with you to Fort Langley. You can then park a ways away and cycle to the event, which will mean less of a walk and less time in the traffic mayhem! The Fort Langley Cranberry Festival is one of, if not the largest event of the year for the community of Fort Langley. 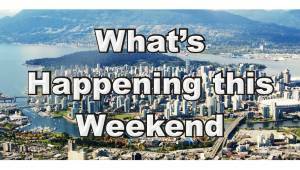 Other major events include Fort Langley May Days with its parade in May and the Fort Langley Food Truck Festival in September, among others. Fort Langley itself is a beautiful historic town with a National Heritage site fort, a couple of museums, antique shops and colonial-style buildings. Both the fort and the town are well worth visiting. Fort Langley is located at the edge of what’s known as the Fraser Valley part of the Lower Mainland. It’s a predominantly agricultural area with all kinds of farm land. Cranberries are the largest crop for the region, which explains why the October festival is all about cranberries. Between the Fraser Valley and Richmond, in fact, the Lower Mainland is one of the largest producers of cranberries anywhere in the world! For more information about the Fort Langley Cranberry Festival, check out the Cranberry Festival website or Fort Langley Historic Site‘s calendar of events. 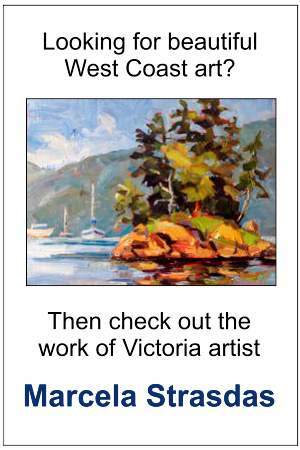 For more details about the town and region, click Fort Langley or the Fraser Valley. For information about the National Historic Site, click Fort Langley Fort.